Julian Assange is a polarizing figure. Beginning when he was a young man in his 20s, the Founder and CEO of WikiLeaks has held the attention of governments around the world, who have had a hard time keeping tabs on him. Is Assange a hacker who wants to take everyone down, or a fighter for freedom of the press who wants to use his power for good? He was last seen in April 2019, handcuffed and being escorted out of the Ecuadorian embassy in London, resisting. What’s going to happen next? 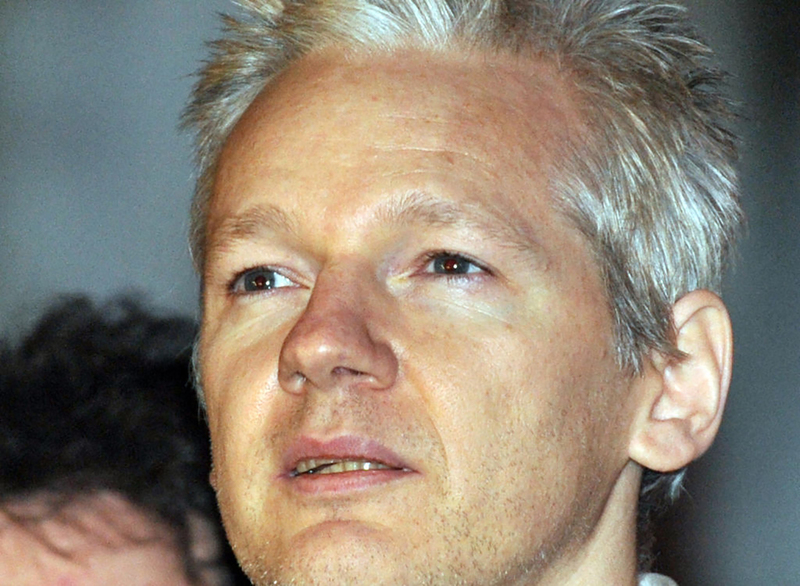 Assange was born and raised in Australia and has activism running through his blood. His mother was a visual artist and his father was an anti-war activist. His parents split up before he was born, and his mother took Assange along with her while she moved from town to town. By the time he was a teenager, Assange had lived in over thirty different towns, bouncing from school to school. Perhaps it made him feel like an outsider, never getting the chance to put down roots and build lasting relationships with his peers. Assange is extremely passionate about journalism, freedom of the press, and the never-ending search for the truth. In his life’s work, he identifies the haves from the have-nots; those with power and those who are being taken advantage of. He believes that knowledge and freedom of information is the key to a more equal and fair society. 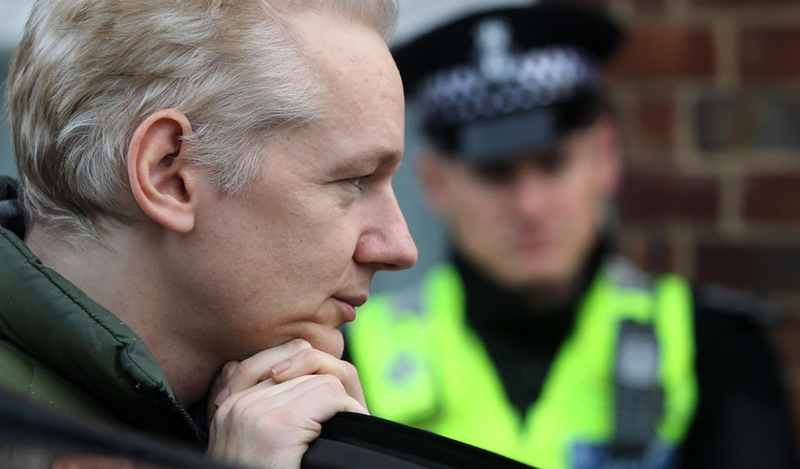 Assange said, “Knowledge has always flowed upwards to bishops and kings, not down to serfs and slaves.” It became his mission to shake up the dissemination of information. Although truth and transparency are cornerstones of Assange’s mission, he attempts to keep his children’s identities hidden from the press. Assange said that his family has faced death threats because of his company, WikiLeaks, and he fears for their safety. His first son, Daniel Assange, is a software designer, and he’s mentioned that his youngest child lives in France. But his other children remain a mystery. Assange has even said that he’s changed their identities to protect them. Assange first began hacking in 1987 with two others and was first charged with a crime for hacking in 1994. After Australian Federal Police tapped his phone line, they raided his home and arrested Assange. He was charged with 31 counts of hacking and related crimes, pleading guilty to 25 of them. At 20 years old, those were his first criminal charges. The court fined him and released him on good behavior. They believed that young Assange had learned his lesson and would not be seen in a courtroom again. 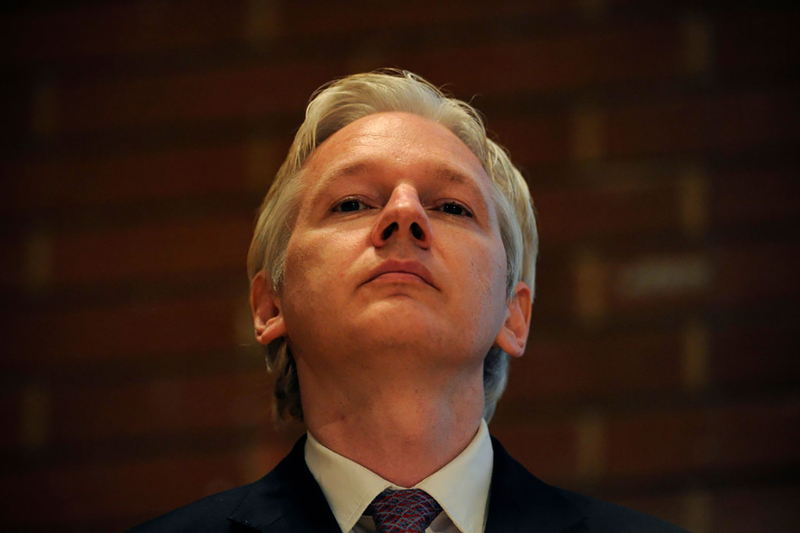 While in his 20s, Assange was a leader in internet technologies in Australia. He founded one of the first Internet service providers in Australia, as well as software, an encryption system, and a search engine. Oddly enough, he also worked as a consultant to government services, helping them take down child predators and other criminals who were using the internet as their tool. He managed a website offering advice to people and business on computer security and seemed to be working for the greater good. Then, he blew the whistle on them. By the time he was in his late 20s, it appeared that Assange was a nerdy bad-boy-turned-good-guy. He had been caught hacking, paid his dues, and went on to found several successful companies using intelligence technology that he had created. But then, he blew the whistle. What Will Happen To His Cat? 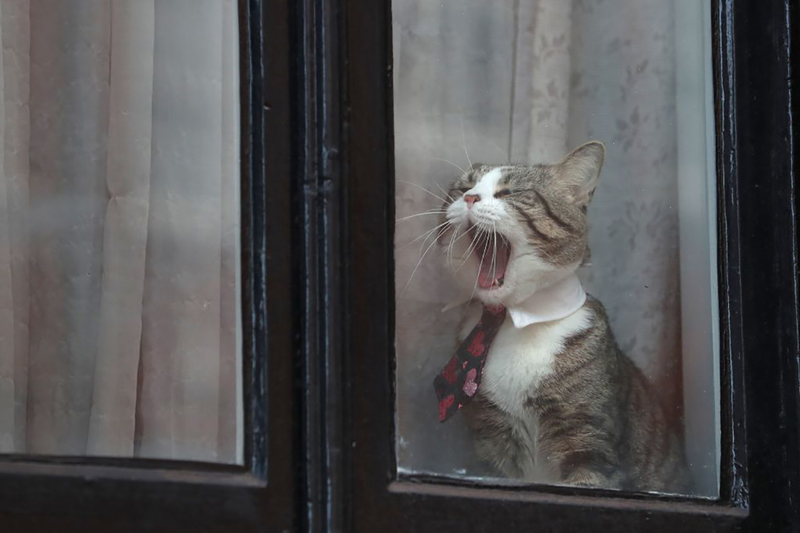 While Assange’s arrest in April 2019 ignited conversations about freedom of the press, many people were also concerned about what will happen with his cat. Ever since he was granted political asylum by Ecuador, Assange had been living at the Ecuadorian embassy in London, England. Being secluded in a building for seven years could be pretty lonely and boring so Assange got a kitten for a companion. 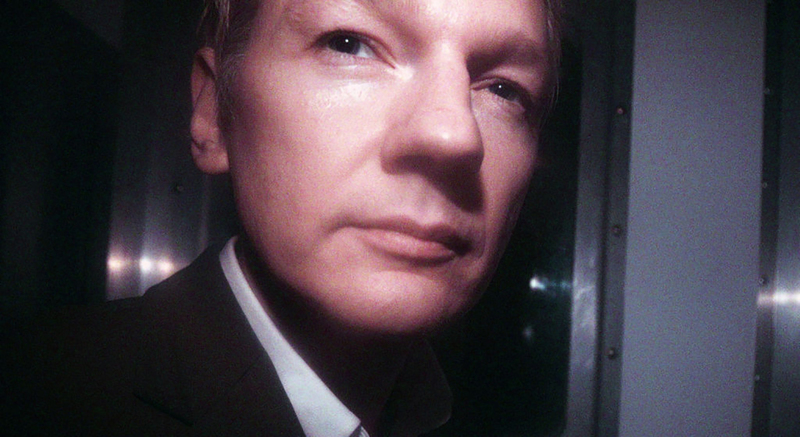 One theme that carries throughout Assange’s life is learning and revealing secrets. Company secrets, government secrets, politicians’ secrets — whatever he finds that people in power are hiding from those below them are what makes him tick. Those secrets get under his skin and Assange keeps hacking until he can find what he believes is the truth to the matter. The man who nearly invented the internet and its abilities in Australia knows exactly what to do to tap into the vaults of the internet and release the classified information he finds to the masses. So what was he going to do with all of these secrets? How could he best distribute his findings to the public arena? In 1999 Assange quietly registered the domain leaks.org, but didn’t launch a website on it. It wasn’t until 2006 that he founded WikiLeaks. Once he launched the WikiLeaks site, Assange didn’t waste any time. Within 10 years, the website had published more than 10 million documents containing secret information and news leaks. The young hacker had grown to become a force to be reckoned with. In May of 2016, one of WikiLeaks’ lawyers, Michael Ratner, passed away from cancer at the age of 72. Just four months later, another one of WikiLeaks’ lawyers died. John Jones committed suicide by jumping in front of a train. He had been suffering from mental health issues and had been admitted into a private psychiatric hospital months before. The close timing of the two WikiLeaks lawyer deaths ignited conspiracy theories, including assassination. From inside the embassy walls, Assange dismissed the theories. 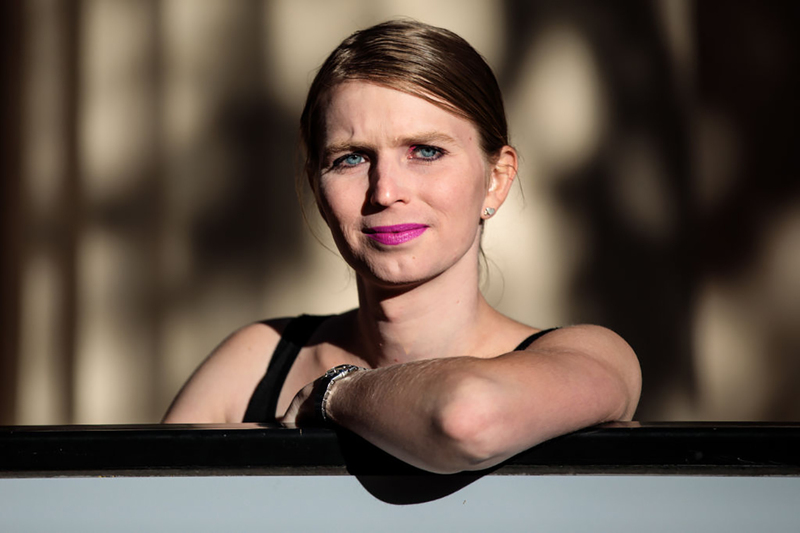 WikiLeaks was growing and getting noticed, but it wasn’t until Assange heard of Chelsea Manning that the website that leaked secret information hit major headlines. Manning is a former U.S. Army soldier who had access to classified databases through her position as a military intelligence analyst. She leaked 750,000 classified and sensitive U.S. military documents that made their way to Assange. The most newsworthy included the Collateral Murder video, the Guantanamo files, and the war logs from Afghanistan and Iraq. In 2010, Manning went to jail for illegally releasing the documents. Meanwhile, Assange was collecting awards. While Manning was sent to prison, Assange collected awards for publishing the classified documents. He was named Time Reader’s Choice Person of the Year, recipient of the Sam Adams Award, and even Rockstar of the Year by Italian Rolling Stone. From all corners of the world, people were paying close attention to how Assange’s future played out. 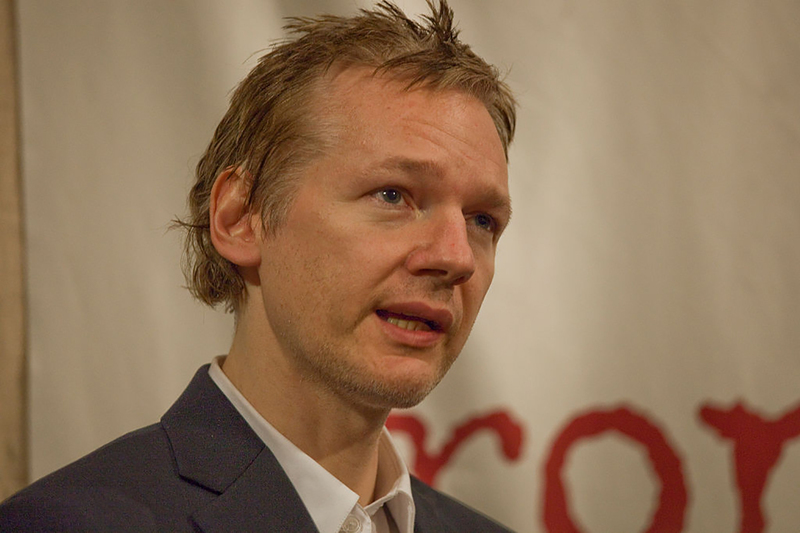 Several celebrities spoke in support of Assange, including Pamela Anderson. She regularly visited Assange at the embassy, and believed that Australia should protect him. In a statement directed at Australian Prime Minister Scott Morrison, Anderson said, “defend your friend, and get Julian his passport back, and take him back to Australia and be proud of him.” Morrison dismissed Anderson’s request. While visiting Sweden in August 2010, Assange was accused of sexual assault by two women he was involved with on his trip. Years went by as prosecutors attempted to get their case in order and eventually they dropped the case against him. 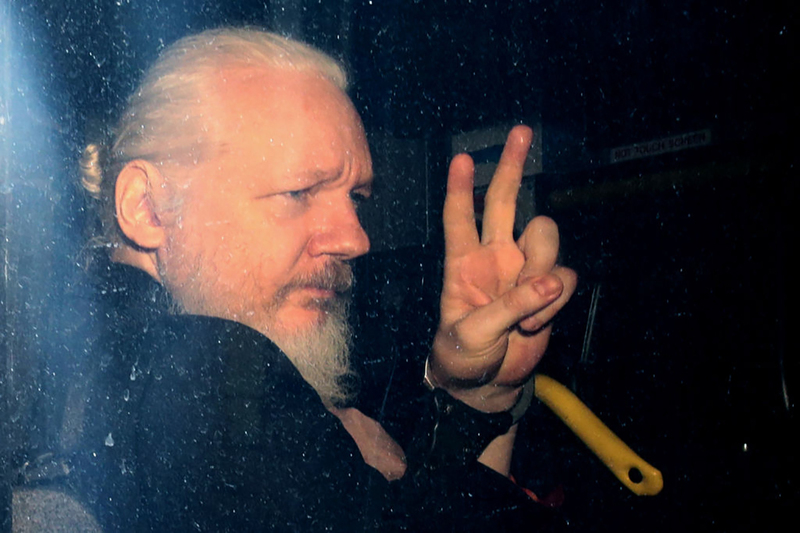 However, Assange’s name was all over the news for the case, his character questioned, and his ties to his home country of Australia were weakened in the process. 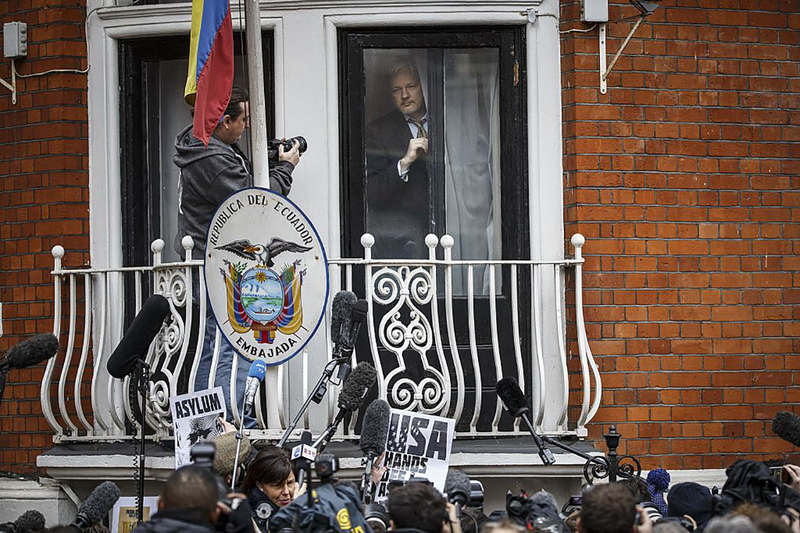 Waiting for everything to blow over, Assange hunkered down at the Ecuadorian embassy in London. In 2012, the Australian Attorney-General informed Assange’s lawyer that his home country would not make an effort to help him if he ran into legal trouble abroad. He took the letter as a “declaration of abandonment” and decided it wouldn’t be an option for him to return. 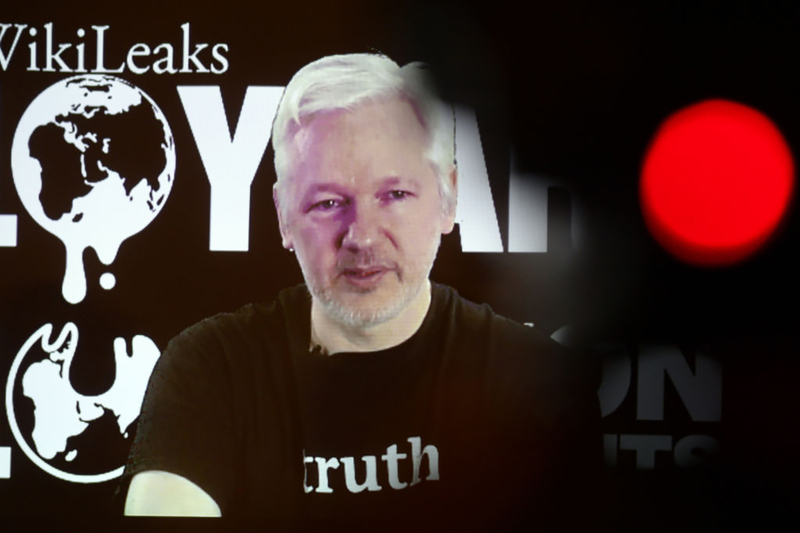 While he was cleared of his case in Sweden, the U.S. was still investigating WikiLeaks. 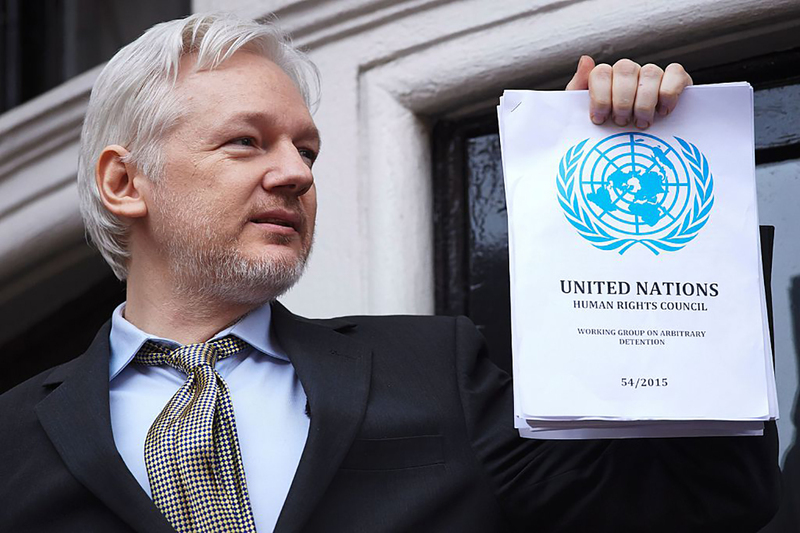 With serious charges hanging over his head should he get deported to the U.S., Assange decided to apply for political asylum in Ecuador. 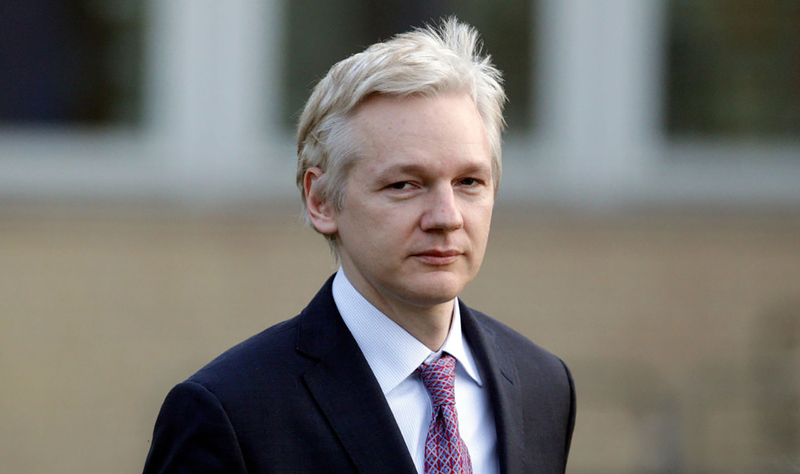 While his home country of Australia abandoned him, Ecuador was empathetic to Assange’s situation and agreed to grant him asylum in August 2012. 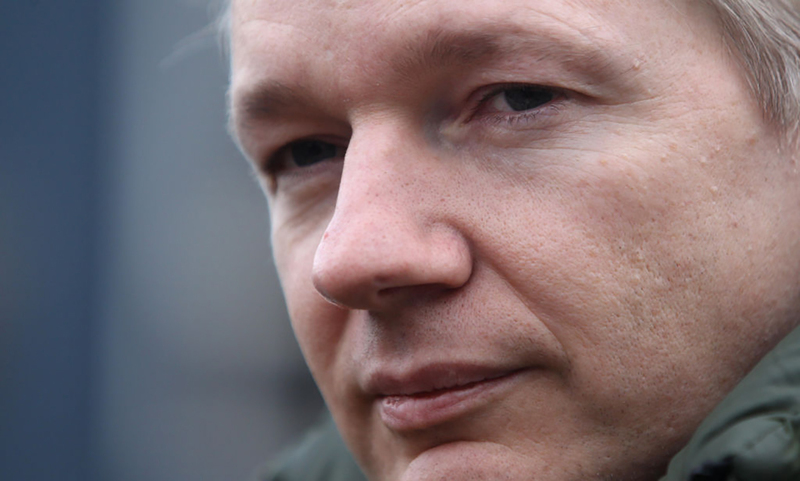 Ecuadorian President Rafael Correa even agreed to house Assange at the embassy indefinitely. 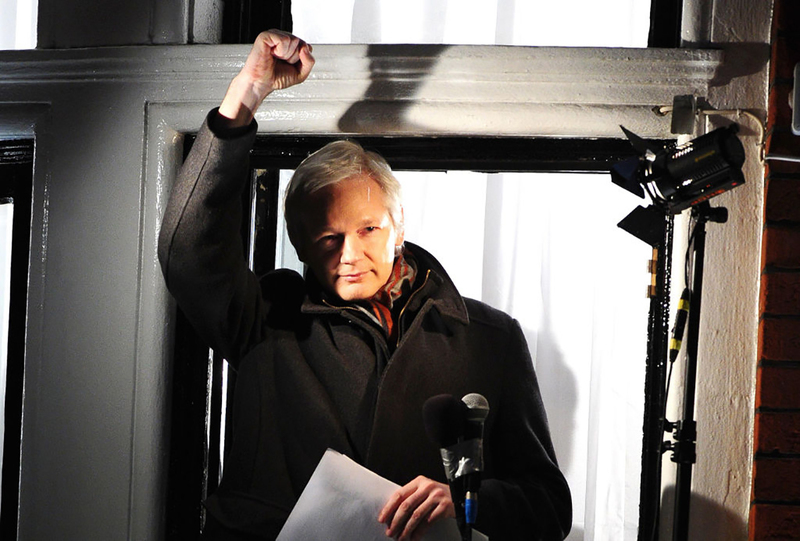 The Ecuadorian embassy in London became Assange’s home for the next six-and-a-half years. They converted an office into a studio apartment for him, where he had a bed, kitchenette, shower, and a computer. He also had a sun lamp and a treadmill, since he would never leave the embassy for fear of being arrested. In September 2016, while still holed up in the Ecuadorian embassy, Assange sent out a tweet directed at then President Barack Obama. He said that he would surrender himself to a U.S. prison in exchange for Obama granting clemency to Chelsea Manning. 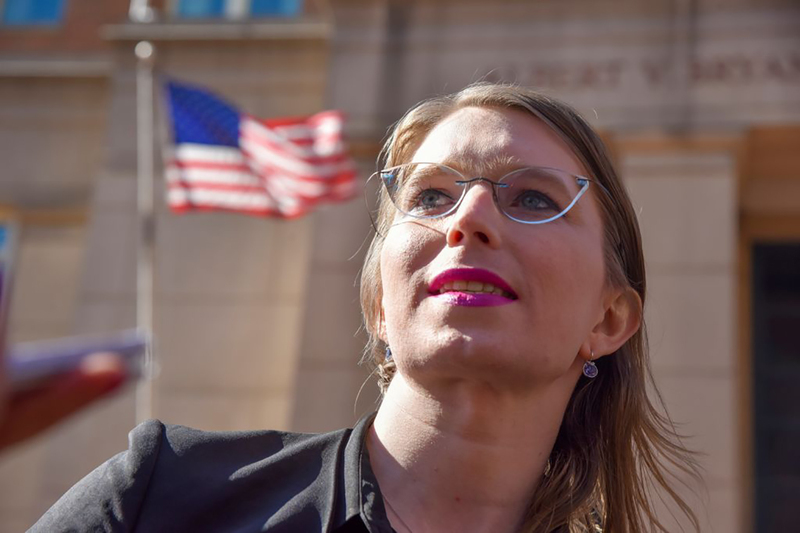 When asked about it, Obama replied, “I don’t pay a lot of attention to Mr. Assange’s tweets, so that wasn’t a consideration in this instance.” Manning ended up fulfilling around four years of her 35-year sentence and was released from prison on May 17, 2017. While other nations didn’t want to offer Assange any protection while he dodged criminal charges in the U.S., Ecuador extended a hand. But it came at a hefty price. UK Police often parked outside the Ecuadorian embassy as a constant reminder that Assange would be quickly arrested if he set foot outside. Meanwhile, protesters surrounded the embassy and some even tried to scale the walls to get inside. 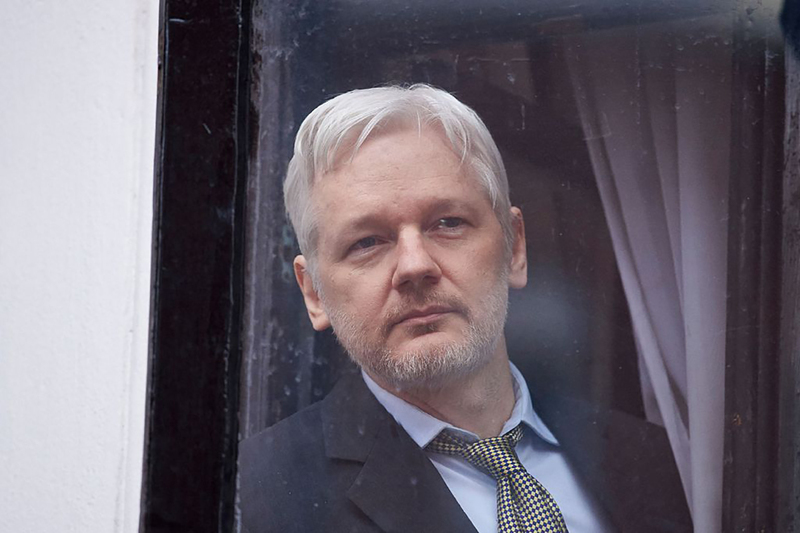 All this added security for Assange cost Ecuador government over $5 million in five years. Find out what Assange did to anger the embassy next. Much like having a friend crashing on your couch for too long, authorities at the Ecuadorian embassy were getting fed up with housing Assange. Part of the agreement for allowing him to stay there with asylum was paying his own internet bill and cleaning up after his cat. Assange had trouble doing both of these things. 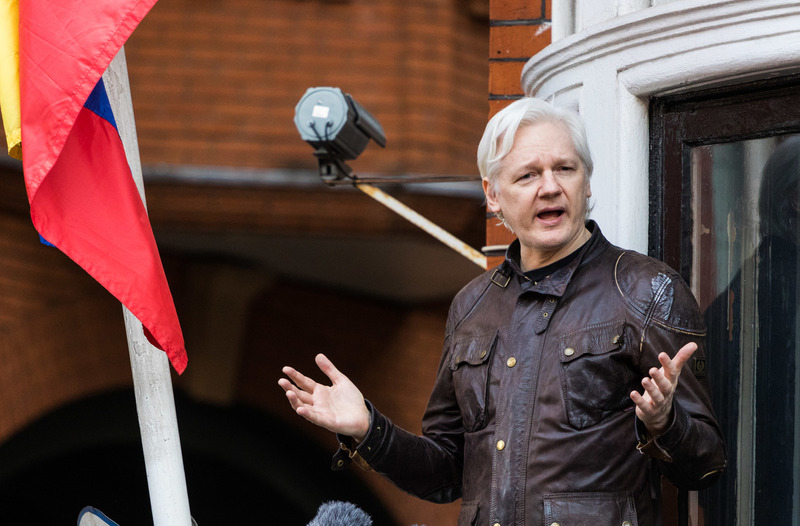 President Lenin Moreno admitted that he wanted Assange out of the embassy, while Assange argued that Ecuador was violating his “fundamental rights and freedoms” by doing so. Strangely enough, it’s possible that Assange’s arrest could have been avoided had he cleaned his cat’s litter box. While living at the embassy, the mental strain was wearing down Assange. He lived in constant fear of the embassy being stormed by British authorities who would arrest him and take him away. The New York Times reported that British officers pounded on the embassy walls at 4 AM to taunt him. It was a long time to be isolated indoors and those who visited Assange noticed that he was worn down psychologically over the time he spent there. 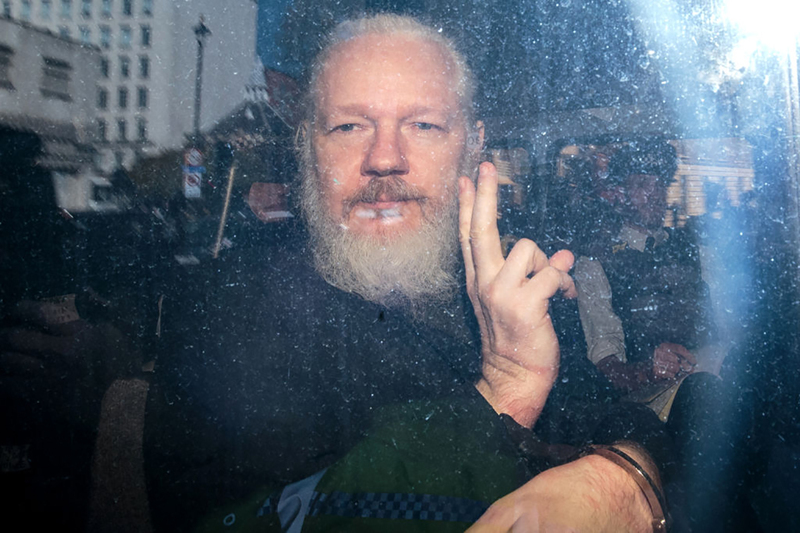 When he was arrested in April 2019, viewers were shocked to see his long, grey beard and hair.